Snow-on-the-mountain is a Poinsettia. 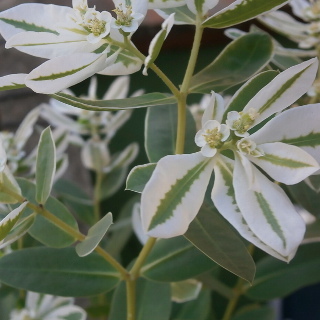 The leaves are white-edge. The flower is small white flower. It is called Hatsu-yuki-sou in Japanese. It blooms in Summer to Autumn.